As an employment law solicitor in Leicester, I am often asked to draft Contracts of Employment or contracts for self-employed contractors (sometimes called consultancy agreements or contracts for services etc). Last week, I had 2 new instructions, both very similar in nature but with slight differences which mean one is an employment situation and one is a self-employed situation. The difference may be slight, but the consequences could be sizeable. 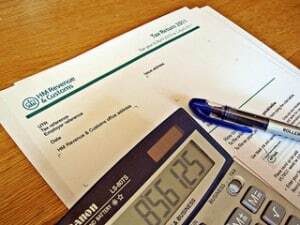 It boils down to HMRC and whether they believe income tax and national insurance should be deducted as PAYE or not. This client runs fitness classes. Each class is operated from the client’s premises, using the client’s logo, branding, plans etc. The client charges the customers directly with a percentage going to the teacher of the class. This client offers weight management plans, diets, systems. The client has “advisors” which meet customers, typically at home. Customers pay the advisor directly and the advisor pays a percentage to the client. Both clients would prefer the teacher/advisor to be self-employed so they pay their own tax. If the teacher/advisor was ill, what would happen? Would they sort their own replacement or would the client do this? There are of course more questions, but these will give you a feel for the situation pretty quickly. In Weightwatchers v HMRC (report here) in 2010, HMRC successfully argued that Weightwatcher’s “group leaders” were in fact employees. For many years Weight Watchers has engaged ‘leaders’ who host local meetings and group weigh-ins on a self-employed basis. Each leader acts under a contract for services with Weight Watchers. Back in 2007 HMRC scrutinised this contract for services and argued that in practice these leaders were employees of Weight Watchers acting under a contract of service, and should be considered so for tax purposes. HMRC challenged Weight Watchers’ argument that its leaders were self-employed and won its case before the Upper Tribunal. This means that Weight Watchers faces a tax bill going back nine years of more than £23m. There have been a few cases since about self-employment vs employment, the leading case being a House of Lords/Supreme Court decision about car valetors called Autoclenz Ltd v Belcher, however the Weightwatchers case is remarkably similar to the two scenarios above. Obviously, this article cannot and must not be used as the basis of advice for your own particular set of circumstances and you should seek independent legal advice and not rely upon the information set out in this article. My advice was that Scenario 1 was probably more likely to be an employee relationship, and therefore the client should have a contract of employment (and have to make PAYE & NI deductions at source). The biggest give away here was that classes were in the clients premises, arranged by the client, organised by the client, the teacher just turned up to teach, and if she didn’t the client would organise a substitute or take the class herself. Scenario 2 was more akin to a self-employed contractor relationship, similar to a “franchise” situation where the advisor was paying a licence fee to use the client’s systems and branding. The advisor would be responsible for the customers, would make all the necessary arrangements for meetings and if a substitute was required, would organise this themselves. The consequences for failing properly to determine the employment status of a worker can be huge – £23 million for Weightwatchers. We therefore recommend that you take advice from an experienced employment lawyer before starting, and putting in place proper contractual documentation to regulate the relationship. If you need any assistance on the question of self-employment vs employment, then please do not hesitate to contact Steven Mather an Employment Solicitor in Leicester on 01530 835041 or simply contact us online.